Smart teams require smart leaders. The leadership team at STAT MedCare, LLC sets the foundation for the company’s success. Our shared vision creates a unity within the company that fosters growth through open, honest communication within our company, and with our clients and referral partners. We are pleased to take this opportunity to introduce you to our leadership team, which has helped us become one of the largest provider enrollment companies in the U.S., and it’s how we continue to thrive. 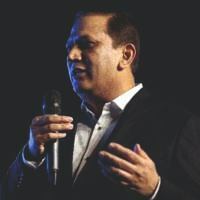 Rajiv Sharma, President & CEO of STAT MedCare, LLC and Knack Global, LLC started his professional career with Intelligroup (NTT data systems), a leading player in SAP & is a Gold partner. He was instrumental in implementing SAP projects for fortune 500 companies and went on to set up their New Zealand and India operations. He ventured out on his own in 1998 with Knack Systems, a NJ based SAP implementation organization with clients such as Loreal, American Standard (US & Europe), Pepsico etc. Rajiv set up the offshore center in Mumbai India in the year 2001 and now has offices in Hyderabad. In 2009 he also ventured into the Healthcare Industry with Knack Global. Knack Global is primarily an RCM company providing services to providers in the US with offices in Chandigarh and Jaipur India with approximately 1,500 employees. During this period, he was also instrumental in acquiring four (4) other companies in US within the healthcare space. Rajiv holds a Masters in Computer Science and resides in New Jersey. Cynthia has over twenty-one years of experience working as an executive & administrator in the healthcare industry. She began her professional career in healthcare in 1995 developing & managing medical recruiting firms and in 2003 she formed STAT MedCare, LLC (formerly STAT HealthCare, LLC) & began developing and managing multi-million dollar medical practices; including radiology clinics, ambulatory surgery centers, teleradiology practices and private practices. In 2006, Cynthia started to see a trend in the market, as well as the type of services that were being requested by her clients and therefore, Cynthia chose to focus on providing a core set of services, which are offered to you today! Cynthia is an aggressive, multi-tasked entrepreneurial leader with a hands-on approach and a proven record of accomplishment for success. Cynthia possesses excellent oral and written communication skills, proven leadership qualities, organized & detail oriented, and thrives under pressure. Her experience and expertise have offered her an excellent reputation in the medical community and she has an intimate working knowledge of the medical “business” and understands the demands & challenges doctors & administrators face with running a medical practice. Cynthia holds a Bachelor’s Degree in Business Administration from the University of Austin. Amber joined STAT MedCare in 2018 and brings over 14 years of management experience in the healthcare industry, working with small offices as well as large multi-specialty offices. Amber has an extreme passion for the healthcare industry and having worked in all aspects of a medical practice has helped her become the leader she is today. 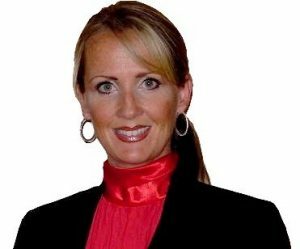 She has extensive knowledge in billing, IT, staff development, government regulatory reporting programs, and patient satisfaction. As the Executive Director of Operations with STAT MedCare, Amber will be responsible for the delivery of client services provided by the operations staff. With her advanced knowledge of the medical field, dedication, and leadership skills she will lead a successful team with STAT MedCare in providing exceptional client experiences. Amber holds a Bachelors of Science in Business Administration from University of Phoenix. She currently resides in Colorado with her husband, two sons, and daughter. She enjoys spending time with her family and is active in her children’s sports and activities. 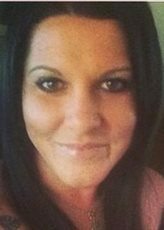 Melissa joined STAT MedCare, LLC in 2016 and brings over 10 years of experience in sales and account management. 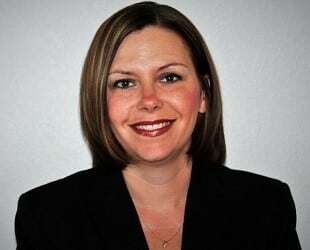 Melissa was recently promoted to VP of Sales. Among her previous positions, Melissa served as Regional Sales and Account Manager for Radiology 24/7, a California-based Teleradiology provider. Melissa leads the STAT’s sales team with not only her knowledge base but by also delivering outstanding customer service. Melissa is a self-driven, organized, and hard-working individual who is always exceeding the expectations of those surrounding her. Her drive, professionalism, and demeanor makes her not only a great leader, but an excellent motivator. Melissa holds a Bachelors of Art in Public Relations from Georgian Court University. She currently resides in Tampa with her three sons! Bekah came to STAT in September 2016, with over 20 plus years of experience in the healthcare industry. 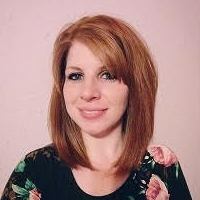 Bekah manages all of STAT’s invoicing, Accounts Receivable and payroll. Bekah’s position is essential to success of STAT and our clients. With Bekah’s positive attitude, she has easily developed a trusting rapport with STAT clients. Bekah is a mother of 3, and grandmother of 3 and one on the way! She enjoys a simple life in the Tennessee countryside with family and 4 dogs. Melissa joined STAT MedCare in 2018. 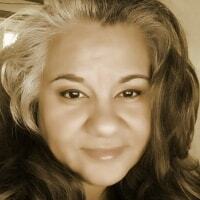 She brings over 15 years of experience in the Credentialing and Provider Enrollment field. She has worked on the payer side, hospital side and physician side to gain the experience needed to become an expert in her field. Melissa dedicated person and gives her all to make sure that all providers are readily able to care for their patients without a loss in revenue or an increased out of pocket expense for their patients. Melissa holds the CPCS certification through NAMSS. She became nationally certified in Credentialing in 2011. She resides in Spring Hill, TN with her husband. She enjoys spending time with her children and grandchildren. Seda joins STAT MedCare with seven years’ experience in the Medical field. Though Seda started out at the front desk at a medical practice, it didn’t take long before she expanded her knowledge in the world of credentialing and was promoted to managing over 200 physicians. Seda’s credentialing experience covers multiple specialties, including Orthopedics, Neurology, Gastroenterology, Physical Medicine, in the medical and surgical facilities, hospitals and telemedicine areas of provider enrollment. With this knowledge, management experience, and the passion to give her clients the best experience possible, it was an easy decision for Seda to be an Account Manager with STAT. She has been married for 18 years and although she doesn’t have children of her own she loves spending time with her Grandchildren and her Niece & Nephew. She is proud owner of 3 English Bull Terriers, one of which she shows at dog shows. 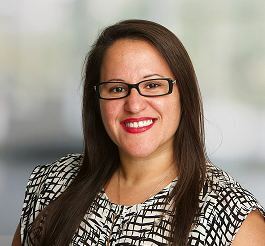 Melody joined STAT MedCare in 2018 as an Account Manager. 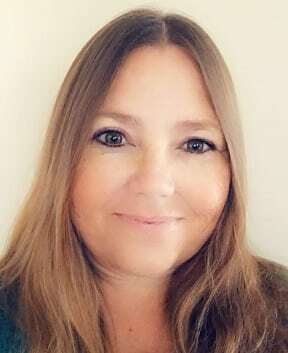 Melody brings a strong passion for Medical Staff Services to STAT along with over ten years of experience in provider enrollment, credentialing, risk management, quality improvement, accreditation processes, patient satisfaction and leadership. Melody will work closely with STAT’s Executive Director of Operations and other Account Managers keeping STAT’s credentialing processes running smoothly and ensure client satisfaction. 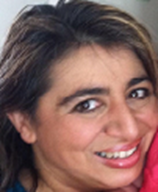 Melody resides in Wisconsin with her husband, three sons, daughter and step-son. She enjoys spending time with her family, being outdoors and cheering on the Green Bay Packers. provider types including all CMS recognized facilities. Anna is also fluent in data analytics for database auditing, productivity projection, contributor accuracy as well as determining and developing tailored training and ongoing education for all users of the credentialing database.